40 Rounds of 9mm, because reloading is for suckers. While the introduction of a new, higher-capacity magazine hardly seems noteworthy to most shooters, this is a huge exception. As a die-hard fan of the 10mm Auto cartridge, and of the KRISS Super-V recoil mitigation system, I am extremely excited at the prospect of during these guns into even more serious home defense tools. A few months back, I had a chance to review the 10mm version of the KRISS Vector pistol, and loved it. With the addition of a brace and a quality reflex sight, shooters get magnum levels of power from their large frame pistol without magnum levels of recoil. The problem was, that the available magazines for the system were limited to a mere 15 rounds. While not terrible, shooters accustomed to the 9mm vector or .45 ACP variants wanted more capacity. 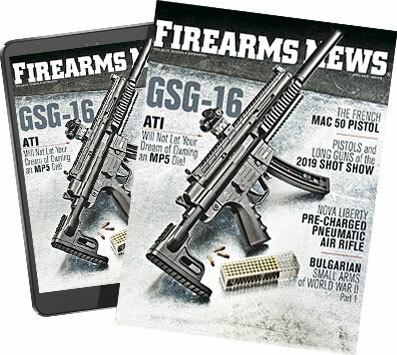 There was just one problem: expanded capacity 10mm Glock magazines didn’t exist - and most extra capacity baseplates didn’t function with the 10mm mags. It was something that I mentioned in my old review, but given the impressive terminal ballistics of the 10mm cartridge, I felt that the 15 round capacity would be sufficient. But, magazine capacity is like money and good looks - you can never have too much. 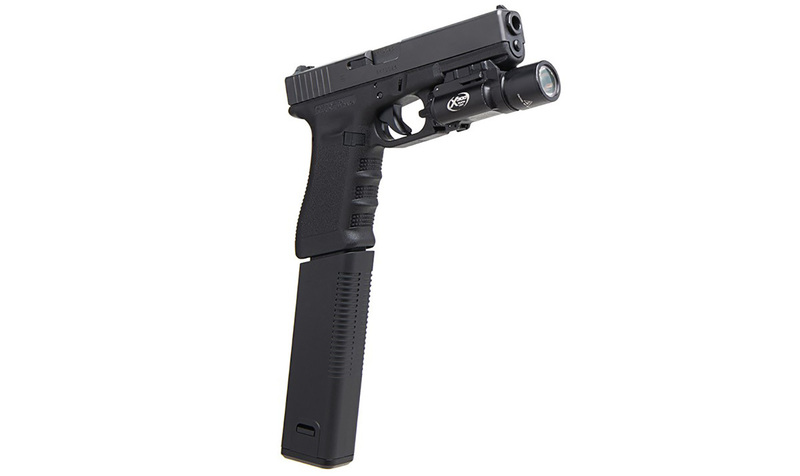 Glock pistol with new ExMag2 magazine looks a bit silly, but offers shooters copious amounts of ammo. Apparently the engineers at KRISS USA feel the same way, which is why they just announced their newest products: the MagEx2. The MagEx2 is available in 9mm and 10mm, and greatly increases capacity. For the 9mm version, it ups the capacity of a standard G17 magazines from 17+1 rounds to a whopping 40+1 rounds! Making it a very viable option not just for owners of 9mm Glocks or 9mm Vectors, but also one of the many 9mm pistol caliber carbines that feed from Glock mags. Countless pistol caliber carbines utilize Glock-pattern magazines, like this one from Stern Defense. Now, with the new magazines, these guns become even more capable as home defense weapons. But the real star of the show, is the 10mm variant. It takes the 15 round capacity of the G20 magazine and increases it to an incredible 33 rounds! 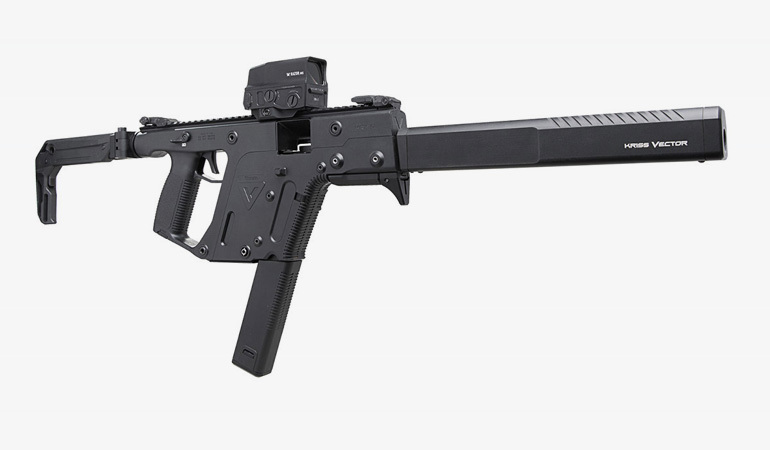 This takes the 10mm KRISS Vector to the next level. Now, the little boxy blaster can hold plenty of rounds to help shooters in any situation they may need them. So whether they’re knocking down steel plates at a PCC 3-gun match, defending their camp from dangerous game, or protecting them family from home invaders, shooters will have rounds to spare. The new MagEx2 retails for 66.95 for a complete magazine, and 35.99 for a kit to convert existing mags. Both will be available to order starting January 28th.